Skiing is one of the top 10 sports in Canada. Despite its popularity, many people have never had the opportunity to try it. Skiing allows us to appreciate our beautiful natural areas, to enjoy winter at its best and to create unforgettable memories. It is with this in mind that we recently welcomed 90 kids for a day that they are not soon to forget! It all began with an exchange with our partner, the Ottawa Senators Foundation, which has been partnering with the 24h de Tremblant for several years now and whose mission is to focus on activities that promote the well-being of children. Together, we developed an initiative that would allow 90 children to discover skiing. The Foundation selected Ottawa’s Carson Grove Elementary School and presented them with the project. Irene Cameron, the school principal, accepted without hesitation and with much enthusiasm. Since the vast majority of children had never skied and many of them had recently arrived in Canada from Syria, skiing was a really unknown activity. 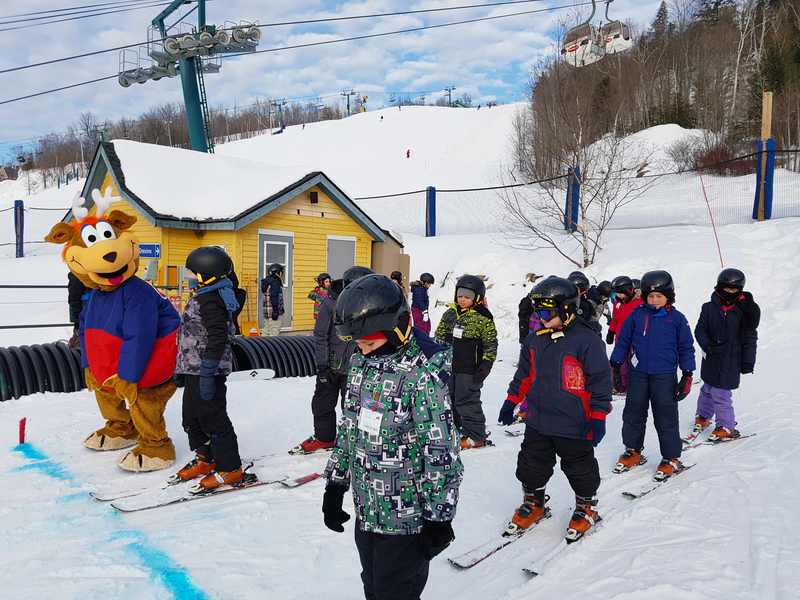 The first step was to go to the school to introduce Tremblant and the sport of skiing, as well as to give some tips and advice, as part of a lively and dynamic activity session. Toufou was even there for the fun! Our mascot was a real source of joy for children. 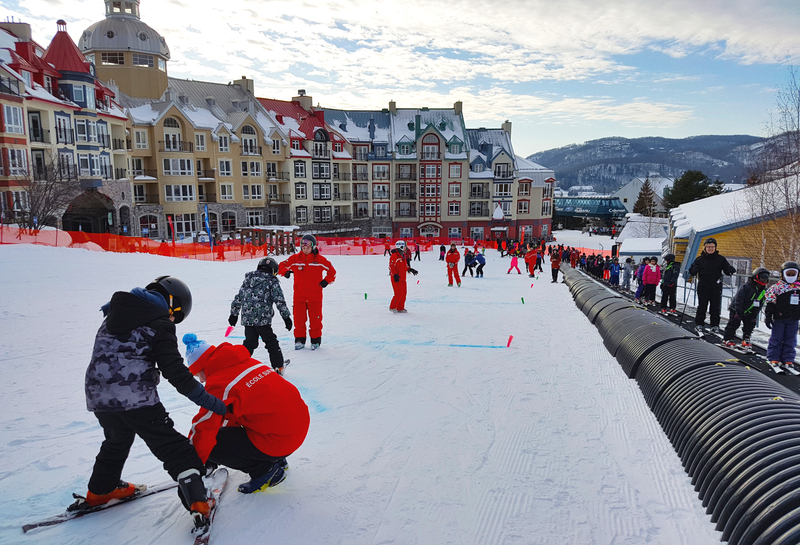 With games, exercises and riddles, Carson Grove students discovered the basics of skiing and were excited to see us again the following week in Tremblant! 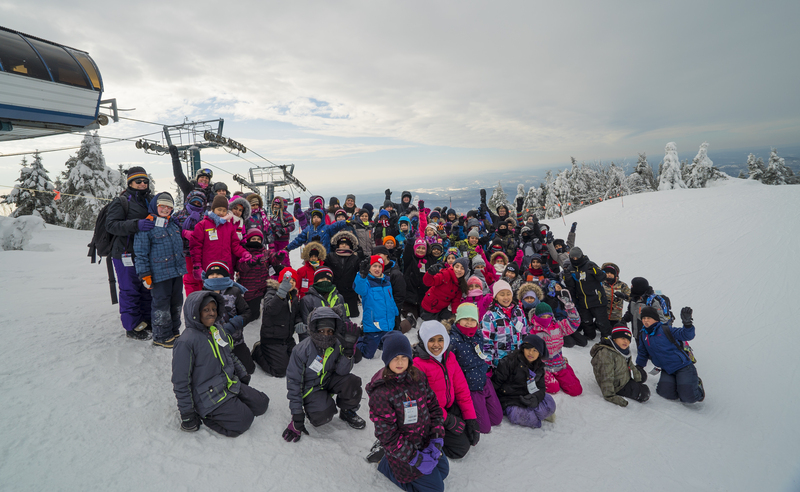 After traveling by bus from the school to the mountain, courtesy of the Ottawa Senators Foundation, the children began their day by visiting the summit via the gondola. The big smiles on their faces are what made us all realize the importance of this day for the children. After lunch at the top, the group then went down to get their equipment and begin their lesson. The instructors welcomed the youngsters in the Onésime beginner area. It was then that the children experienced the sensation of gliding on skis for the first time. Thanks to structured supervision, several students succeeded in making turns and jumps and following an easy slalom course in the first hour of the course! The day ended with a hot chocolate in the presence of Toufou before making the return trip to Carson Grove. To close the project, the Tremblant team returned to Carson Grove Elementary a week later to discuss with the children about their experience in Tremblant. The children were more than happy to see Toufou again and share their favorite moments with us. According to the majority, the gondola ride was one of the most memorable moments! In order to immortalize this experience, a group photo and small gifts were given to each student. It was an incredible experience for the teachers, the coaches, the organizers, the instructors and, of course, for the children. The Tremblant team would like to thank Carson Grove for making the efforts needed to make this activity possible. Thanks also to the Ottawa Senators Foundation; without whom this project would not have been possible.